ERI® began operations in November 2002 processing 10,000 pounds of electronic waste a month. Today, ERI processes 20 million pounds a month across seven facilities in the U.S. ERI does all its recycling and dismantling on American soil, and it works with a wide range of partners to take in material from consumers, businesses, governments and other sources. ERI’s growth can be attributed to its investment in people, service and technology. ERI selects exemplary employees to provide the greatest possible service to customers. In addition, ERI’s search for the best technology — both currently available and next generation — is ongoing in order to offer the most efficient operation on the marketplace. As a result, ERI’s operation produces the purest commodity stream and generates the highest rates of return for both the company and its clients. 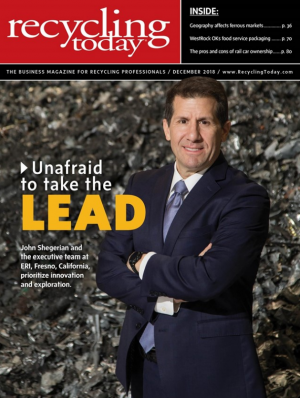 In December 2008, ERI unveiled the largest electronics scrap shredding system in North America. This shredding system is an aggregation of current and new technologies that ERI discovered from around the world. ERI offers multiple programs for its customers, ranging from 100% end-of-life, asset recovery, to commodity recovery. ERI provides solutions that meet the financial considerations of its customers while also offering the transparency required for their sustainability initiatives. Call us 24/7 or submit the form below to speak with one of our ITAD & e-waste specialists. © 2019 ERI. All trademarks are the property of their respective owners.